Medical history is full of horror stories, but few could give rise to a horror movie. This one can. 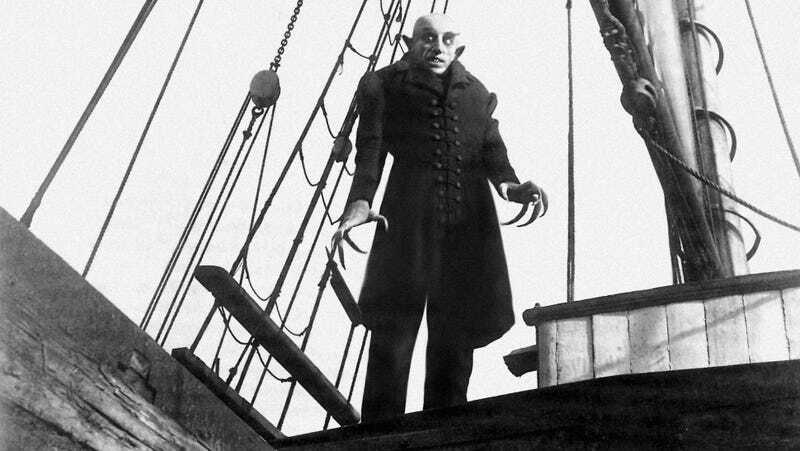 Over half a millennium ago, a misunderstanding about how blood circulation works nearly made the pope into nosferatu. In the late 1400s, medicine and manslaughter were pretty much indistinguishable from each other. While there were some remedies that did treat the illnesses they were prescribed for, plenty of people were given things like urine and mercury to counteract malaria. They were bled, they were kept in dark rooms, and they were given purgatives that dehydrated them to death. Many medicines revolved around the vital fluids in the body, which were known to be important, even if no one knew exactly why or how to administer them. People knew that blood was necessary to stay alive, but they were far from understanding the workings of the circulatory system. Doctors came to believe that they could blood into the veins via the same route that food took to get into the body. Reputedly, the first person to try out this experimental procedure was none other than the pope. Pope Innocent VIII did not live up to his name. He played politics, had illegitimate children, and sold high offices in the church. Then again, few people are so bad that they deserve fifteenth century medicine. When Innocent VIII lay dying, his doctors decided that they would try a blood transfusion. Before his death, Innocent had to gulp down strange blood in an attempt to save his life or turn him into a vampire. Tough to say which. Innocent would probably have been content with either, but the treatment didn't work, and he soon died. It had to have been unpleasant for Innocent, but it was probably even more unpleasant for whoever "donated" the blood. The rumors vary. Some say that it came from consenting donors. Others say that people were murdered to obtain enough blood. One rumor even states that Innocent drank the blood of young Jewish boys. There's no way to verify any of the rumors. It's enough to know that, when it doubt, even the educated and pious went to straight vampirism. Via Mad Science, Scientific American.